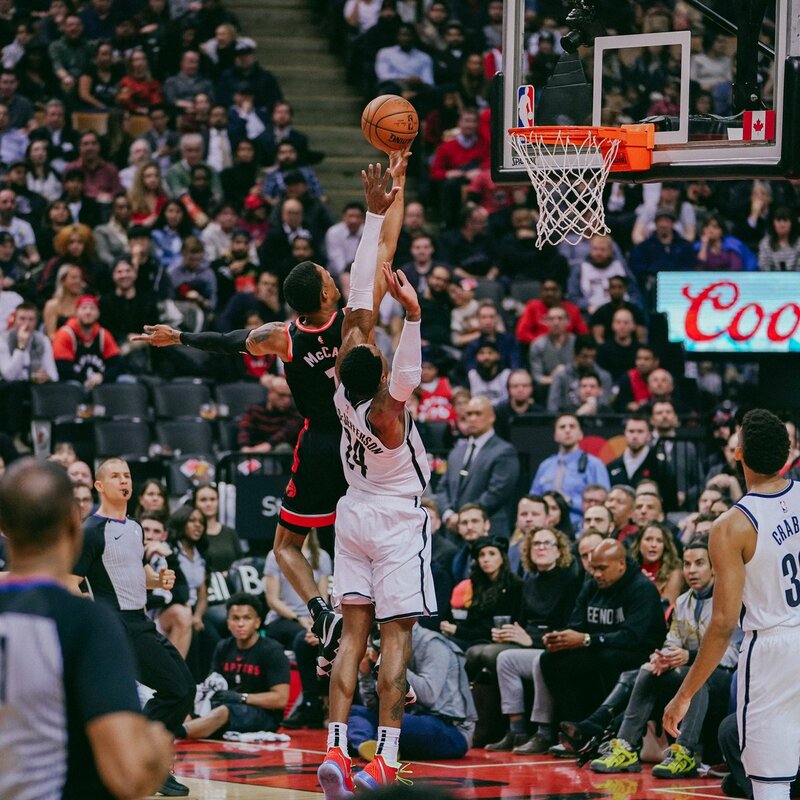 Kawhi Leonard made the game-winning shot to give the Toronto Raptors the 127-125 victory against the Brooklyn Nets. Kawhi scored 30 points and had a season-high eight assists. Serge Ibaka shot 9-13 from the field and had a double-double as he scored 18 points and grabbed 12 boards. Pascal Siakam had 17 points, four assists and four rebounds. The Raptors bench helped out the starting unit as they combined for 40 points. Marc Gasol made his home debut and scored 16 points on 7-9 shooting, and grabbed six rebounds. Patrick McCaw scored 13 points. Former Raptor DeMarre Carroll did not play as he dealt with a sore left knee. D’Angelo Russell recorded a double-double as he scored 28 points and provided 14 assists. Joe Harris scored a career-high 24 points, all of his converted shots were three-pointers, which he went 7-8 for. Centre Jarrett Allen was kept quiet on the glass but scored 15 points. Shabazz Napier scored 10 points and had four assists in 17 minutes, while Allen Crabbe scored 22 points off the bench. The Toronto crowd gave Gasol a standing ovation as he checked into the game. Patrick McCaw is 6’7″ but can play anywhere from point guard to small forward, and has explosive speed. OG Anunoby isn’t a scorer, but does all the little things on both ends of the floor. Gasol scored 11 of his 16 points in the fourth quarter, and returned a nice pass to McCaw after he inbounded the ball. Kawhi Leonard is a clutch player who makes clutch plays, which showed on Monday night. The Raptors announced on Wednesday afternoon that they signed veteran guard Jeremy Lin, and he will be active for their game the same night. Toronto plays their last game before the All-Star break against the Washington Wizards at Scotiabank Arena.